The mango pudding gives this delighfully tropical drink great texture! In shaker, add 120ml of pre-brewed tea, 15ml of pre-diluted lime powder, fruit mix and honey topping. Add scoop of ice and shake well. Set mango tea mixture aside. In a serving glass, add mango pudding at the base of the glass. Fill up the glass with the mango tea mixture. 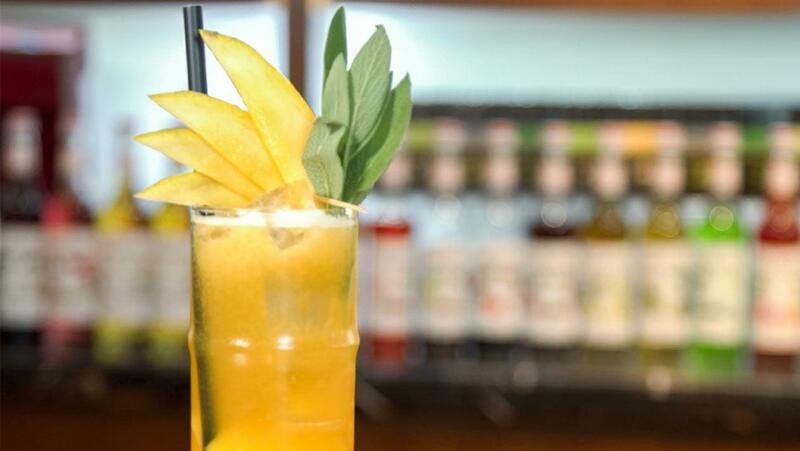 Garnish with mint leaf and mango slices.